Charlotte joined the Elders Real Estate team in 2017. Originally from Wales Charlotte moved to Darwin to experience all that the Northern Territory has to offer. 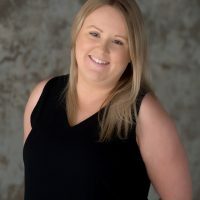 Starting her Real Estate career in a Property Management Assistant role, she has been an asset to the team learning and covering many roles from reception through to rental trust accounts, general office accounts, admin cover in Palmerston and operational duties. She will commence the second half of the year as HR/Admin. During her time with the company she has been awarded the Elders Darwin employee of the Year 2017 as well as Elders Darwin Administration person of the year 2017. She looks forward to continue learning and growing within the company. Would you like to speak to Charlotte? If you’re thinking about renting or selling your property and you’d like a clearer picture of how much your property might be worth or want to have an informal chat about general property market trading conditions, Charlotte will be happy to arrange a full market appraisal of your property.